Imagine! Flowers of the rich blue that the picky Gentians are famous for, but on a hardy, tough, compact, drought-resistant plant that is easy to grow! 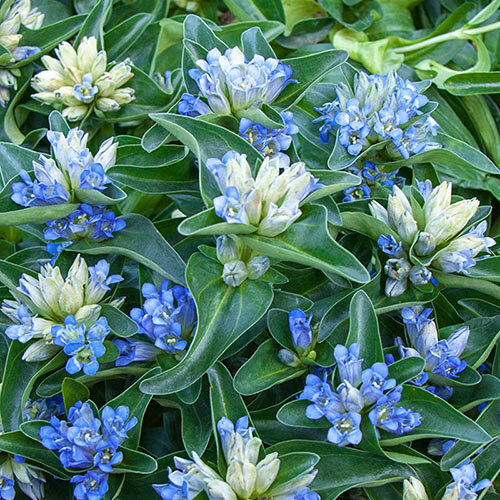 You'll enjoy months of color from midsummer to fall, as clusters of cream buds open to intense blue flowers all along the gracefully arching stems. They create a wonderful bicolor effect and attract hummingbirds and butterflies by the dozen. Four cupped leaves form a cross at each internode, giving the plant its name. 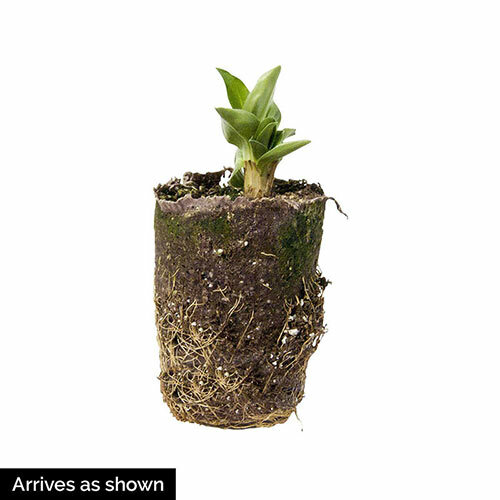 It forms a low, bushy clump 10" tall and 18" wide, and is excellent in pots or in the front of the border. Requires well-drained soil! Zones 3-7. Gentiana cruciata 'Blue Cross'. Full Sun to Partial Shade. Deer tend to avoid. Ships in 2" Pot. Pruning TimePruning is not necessary. Soil RequirementPrefers average, well-drained soil.